Frugal & Fabulous: Great Tampon Deal on Amazon! No Coupons Needed! Great Tampon Deal on Amazon! No Coupons Needed! 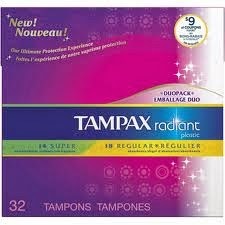 Amazon has a great deal on Tampax Radiance Tampons right now! Typically my stockpile price for Tampons is $1 a box - but $1.13 isn't bad! Click the link below and check out with "subscribe & save" for a total cost of $1.13 shipped! *Just remember to go back into your amazon account after the item ships and cancel the subscription.